This morning my husband contacted me from a different time zone. He’s working as part of the leadership of a growing company, and they are trying to articulate their core values to support their rapid growth. They are very smart people, and want these values to be strong and meaningful. My husband asked me if there was a short article that describes what core values should be. 2. Establish the key values that will guide decision-making – especially hard ones. 3. Highlight what is distinct about the personality or approach of the organization – a powerful statement of “who we are”. Are you funny? Offbeat? Fearless? 6. Apply to all employees equally. 5. Be authentically lived – leadership should constantly be looking to embrace – and show the team how they embrace – those values. They should also bring them up and remind the team of them as decisions are being made, and encourage the team to do the same. This is not a trivial exercise. Not to be quickly typed out over a weekend. Who do you want to be? What do you want the journey to look like? What would like like people to admire about you? What would you want your team to admire about each other? These questions require consideration. Lots of listening and honesty. The kind of listening and honesty that’s rare in business. I further suggested that the best way to get there was via conversation rather than editing documents of any particular kind. I look forward to seeing where they land on this issue. They are a remarkable team doing remarkable things, and I hope they find their way to articulating values that reflect that. I wish the same for you, of course. In 2014 Business will embrace the intangible. The first step is to measure whatever can be easily measured. This is OK as far as it goes. The second step is to disregard that which can’t be easily measured or to give it an arbitrary quantitative value. This is artificial and misleading. The third step is to presume that what can’t be measured easily really isn’t important. This is blindness. The fourth step is to say that what can’t be easily measured really doesn’t exist. This is suicide. In the 20th century business success sprang from the combination kind of property rights (intellectual or physical), process and efficiencies of scale. But in the 21st century we are rapidly accumulating data that suggests that the new competitive advantages are both much simpler and more complex. (Not that value chains, and differentiation don’t still matter, but scale is now definitely a matter of debate.). The new, primary source of competitive advantage is customer satisfaction and innovation. Studies suggest that the most effective way to ensure customer satisfaction is to have employees who give a darn and are empowered to act. There’s another 20th century reality as well. Complexity. Complexity is (a lot of things, some of them very precise, but for the purposes of this discussion…) the state of being which is either intrinsically impossible to understand by traditional rationalist methods, or where the cost or time involved in such analysis makes it impractical for the time being. It is these two big truths – the shift in competitive advantage, and the paradigm-shifting complexity that now defines our world, that are the real motivators behind the shift in business toward new humanistic models. So – what kind of intangibles, and what do we do about it? My prediction is that in 2014, you’ll see these words at the center of important conversations, along with research and experimentation that leads to deeper, more actionable understanding of each. (Send in the philosophers for some of this). How do we understand wickedly complex situations? Through narrative. People are exceptionally good at inferring patterns and meaning. Narrative can frame a wicked problem in a way that we can share it, discuss it, make inferences, and create a vision of the future. The trick of course is that narrative takes some intangible skills to build, and is not absolute. There is no one narrative, there can be many. But the way a certain narrative frames the problem (is light a wave or a particle, is data a privacy or a property issue?) can profoundly affect what we are able and willing to do with those ideas. The overused and very poorly understood emergent behavior of a human community. It matters. You know why? Because customer satisfaction and innovation depend heavily on it. And yet we are incapable of talking about it intelligently – yet. A recent HBR blog suggests a not terribly unique but inarguably correct list of things many good cultures have, but makes no suggestion as to how we achieve those things. There are some theories. I have some myself, but we’re going to start to get serious on this issue. We have to. Seriously. Leadership of the advanced seeker mentality. Leadership that asks questions, inculcates values and intention, narrates intention, mission, and purpose, that constantly balances confidence and humility. Leadership with the intention of building more leadership. The Charlene Li 2,0 leadership, will begin to emerge from myth and legend and the yeah, but what about Steve shadows, and start to get serious. How do we build it, recognize it, and most importantly install and sustain it. Other forms of leadership will be failing at a pace that becomes noticeable. Yikes. Who am I? What is human? How much of my identity do I own? Do I have identity rights? Are they the same or different from privacy rights? Singularity, transhumanism… these topics leave the world of freaks, sci fi, “Futurists” and other fringe places and become an important part of civic dialog. These topics, among others, will stop being airy-fairy stuff. They will be the stuff that business is investing in. Whether we can measure it (now) or not. This century will depend on the immeasurable, the intangible, the unpredictable. Business will develop a… kind of faith …. In the complex systems and the wondrous things that (can) emerge. There is no such thing as a social business. There’s Enterprise 1.0 over there, and Enterprise 2.0 over there, and we’re all somewhere between the two and some part of that is Social. Embarking on the journey from there to there is to form an intention. This intention can be about the way we want to engage customers. It can be an intention of creating a richly connected workforce so as to reap the rewards of agility, resilience, problem solving and innovation that such a workforce is capable of. It is about realizing that the power of command and control is great, but limited, and we have reached that limit. It is about realizing that the capabilities, ambitions, insights and preferences of people that have been largely ignored in the 20th century will not be ignored in the 21st, in part because technology has redistributed a little power from corporations to consumers and the workforce, and in part because you cannot command and control your way through the pace and complexity of 21st century business and society, and, to quote a beloved fictional character, “the only way out is through” (bonus marks if you leave a comment with his name). Jony Ives narrates this lovely little video about why the next iOS will be flat, not bubbly. This is not simply a matter of taste and sophistication. It is a matter of intention. In the video he says “Design defines so much of our experience. There is a profound and enduring beauty in simplicity and clarity and efficiency … its about bringing order to complexity.” What Jony is saying, is that they did not set out to “change” the UI. They set out to bring order to complexity, while honoring simplicity. The difference between goal and intention is subtle but important. Intention is a permanent state of seeking, it is never achieved, but always honored. A goal says – I want a new UI, or I want to solve a problem, or I want something that will make it clear that this iOS is really different an innovative. A goal has an end state. Goals are good, but they are not intentions, and, unlike Social Business, they can be achieved. Intention says – I do not know what my journey is going to look like, but I have certain qualities and ideals in mind. Intention puts your focus on the outcome, not the method, or really the goal. Do you play tennis? If you remember learning to play, then you know that if you try to hit the ball – connect the racquet with the ball – you whiff, but if you put a laser focus on the ball and you swing your arm, somehow that ball gets hit. This is the power of intention. It lets the right things happen without examining them overly. Intention means that every step is both unrestricted but well informed by the truths you can find – that good products are better than bad products. That good products are the result of knowing customer needs and applying talent against them. That respecting the voice and convenience of the customer is a good investment. That there is no executive in your organization that is one fraction as smart as the rest of the org combined. Perhaps my favorite exposition of intention is an old ad about a faucet. Yes, Kohler did a double bluff on the theme on pretentious design aficionados who come to a pretentious architect and say “design a house around this” – evoking the idea that they so admire the tacit design principles in the faucet that they want a house that embodies those same qualities – some of which are nearly impossible to articulate. So they can’t be goals. They are intentions. Intention is a very long view approached by a series of very short steps. If your intention is to be a social business, and you have a vague notion – and it can only be vague – that a social business will be more profitable, more resilient, more interesting – over the next 50 years, and that your customers will love you better, and your employees will love you better and magical emergent innovation will fall from the sky, and you will, finally, get Lew Platt’s wish of knowing what we know – or at least being able to benefit from what we know, even if we never actually know it. We have been through frameworks, processes, and models.We have been through half a dozen years of theories, pontificating, genius and foolishness. We have platitudes, and attitudes, (both entirely skippable. 140 char has its dark side). Many of them have merit and application in certain circumstances. but as a whole they build a holistic and visceral understanding of the intention, if not the defnition of Social Business. We have learned a few tangible-ish things, however. multiple parallel safe to fail experiments. Many successful CEOs declare that they believe social is a better way to do business, and they summon the courage to go there and figure it out on their way. Some businesses – like John Stepper’s Deutche Bank – find pockets of value in social technology, that enable certain departments to thrive, without necessarily becoming a social business, at least not yet. IBM has been on its journey longer and larger, and it may have more momentum than many. Picture a huge, heavy flywheel. It’s a massive, metal disk mounted horizontally on an axle. It’s about 100 feet in diameter, 10 feet thick, and it weighs about 25 tons. That flywheel is your company. Your job is to get that flywheel to move as fast as possible, because momentum—mass times velocity—is what will generate superior economic results over time. Right now, the flywheel is at a standstill. To get it moving, you make a tremendous effort. You push with all your might, and finally you get the flywheel to inch forward. After two or three days of sustained effort, you get the flywheel to complete one entire turn. You keep pushing, and the flywheel begins to move a bit faster. It takes a lot of work, but at last the flywheel makes a second rotation. You keep pushing steadily. It makes three turns, four turns, five, six. With each turn, it moves faster, and then—at some point, you can’’t say exactly when—you break through. The momentum of the heavy wheel kicks in your favor. It spins faster and faster, with its own weight propelling it. You aren’t pushing any harder, but the flywheel is accelerating, its momentum building, its speed increasing. My point here should be clear – a social business is one that has set a social intention and takes many, many steps, which, when properly aligned and examined, lead inexorably to a “Social Business” that is able to enjoy a more humanistic, sustainable, profitable, innovative, emergent form of business. On the one hand this is simple aggregation of effort. Every positive step is amplified by the next one. But on the other, we Another invaluable William Gibson quote – the future is here it’s just not evenly distributed – is WHY this works. To understand this, you must realize that there is not ONE future that is here, but an infinity of them. Each step opens up a new possible future if it works, if it takes, and sets off a chain of events that lead somewhere. Our goal is to make as many “intentional” possible futures as we can. We cannot know in advance which of them will take root and take over, but we can ensure that they are imbued with desirable qualities, that they are taken with the right intentions. A don’t be evil type of intention (that is reexamined often.). The Best argument yet for Social/2.0 connected business. If you are still casting about for reasons as to why connected companies are more valuable than unconnected companies, you need to watch Ricardo Hausman’s lecture on person-bytes, which he applies to countries, but you will be wise to think of in terms of enterprises. And you will quickly realize that 1.0 leadership is leaving too much opportunity on the table because the number of person-bytes – the breadth and complexity of capability the enterprise can address – accessible by 1.0 Enterprise is far less than what Enterprise 2.0 can leverage. Let me say that again, because I think its pretty big and you might have missed it. Enterprise 1.0, with command and control, is limited in its capability by the intelligence and capability of the Executive team. The executive team has most of the accessible person bytes in the company – though they can use others in simplistic ways. In 1.0 enterprises, the workforce is there to amplify the capabilities of the executives. Looked at another way, Executives are the constraint. After a certain point, it is the executives that restrain growth and capability because the organization cannot amplify what the executive can’t see. In Enterprise 2.0 power and capability flows the other way – from the network to the leadership. In Enterprise 2.0, executives (leaders) inquire and align collective intelligence and capability. They can access the collective capabilities, resources and observations of the workforce and beyond. They can build businesses with greater person-byte potential. Hausmann shows that not only are those products that require more person-bytes more rare and valuable, but they lead to richer adjacent opportunities. Person-bytes aggregate via proximity and connection. You don’t have one kind of expertise – say in manufacturing phones – and then suddenly have a totally different kind of expertise in oil exploration – unless you’ve discovered some link between the too. Social, networked companies can build more complex – more person-byte – products, and grow expertise and advantage more reliably than those that can’t. Hausmann’s data is based on national economies, but if you look at it the connection will be instantly clear. The Road to Social Business is Paved with Intentions. Make them good. We are all somewhere between the two – between a 1.0 business over there – and a 2.0 business over there. If you are looking for practicalities of social business/enterprise 2.0 next, you can read some of the lists and frameworks I’ve written myself here and here. Just remember this. A framework is an invitation to think, not an excuse not to. Its a way to organize your thoughts. None of us will travel exactly the same path to a new business paradigm, in the same way that none of us have traveled the same path to profitability and success. There is no path, there is only intention. In a world where notions of business, privacy, identity, civil rights, labor, morality, war and peace are all disrupted, let us please make them good intentions. What will 21st Century organizations aspire to? I know that my phone and my credit card are spying on me. I am certain that this is not a good thing, and yet I choose not to think about it as I continue to live my ordinary life, occasionally wondering if we’ll all eventually have to turn to the Amish in the post-apocalypse as the last remaining community of people who actually know how to do anything. But as business and society, we really do need to examine the contents of our pockets and make some decisions. Our technology, if not our instincts, are enabling us to connect and monitor each other, ourselves and the world around us. Business needs are driving us to seek out new models for growth and efficiency, and our humanity is driving us to find more ways to ensure prosperity for individuals and communities – its an awesome thing. But its going to be complicated. Perhaps I have read too much sci fi, too much 20th century Orwellian angst-lit. We know the next generation of organization (and society) is going to be super connected. We want this to be so. We want this to democratize and meritocritize, we want to leverage the true capabilities and aspirations of the work force. We want organizations to be more “unified’ – but what does kind of “unified” do we want? What will it look like? Is it all rainbows and unicorns? Back in 2009 David Armano was trying to express his theory of social business, and among other things he had this notion of “Hive Mind”. It was clear that a) David was onto something – but even he was not really sure what, b) that he was a brilliant illustrator, and c) that “Hive Mind” creeped me out. My imagination drew an ugly Borg-like picture. A totalitarian construct. I’m sure that’s not what David meant. So what do we mean? If we must now reject the “well-oiled machine” metaphor for business, it would be handy to have something to replace it with. Machines, no matter how well-oiled, are incapable of the agility and complexity business needs to thrive. Further, people are not cogs in machines, and why would we want to be? So the mechanistic model fails both the business and the humanity test. We are individuals and communities of staggering complexity – how will we use that to achieve what is currently beyond our grasp or imagination? What is the metaphor of the 21st century, humanistic, connected, buzzing (but not seething) organization? We will choose – with intention or without. If we are building a world of possibilities, we want the better ones to prevail. We will have a hand in what dominantes, and so we have to recognize and prepare our choices. There will be ambiguity. This article on Disney’s idyllic, planned community – asks if its “Cool or Creepy?” This will be increasingly difficult to answer in many contexts. Organizational design for Century 21 – more than one metaphor. In the last couple hundred years, business and government have been dominated by hierarchical, command and control structures – though there have been some other models. Family models, some decentralized models (the ‘bad guys’ have taught us some things about decentralized control) – but hierarchies are so ingrained in our society as to be barely questioned. Now we have “Valve” – a purely self-directed organization (that I still need to understand better). We had the “Occupy” movement and Crisis Commons, Wikipedia, and of course Arab spring – and perhaps one enduring organizational theme of the future will be purely emergent organizations. But other than Valve, none of these has an ongoing, durable organization designed to deliver value in a sustained way – a way that can bring economic prosperity to its members. I do not quite believe yet that the Valve model will dominate, though I hope that model will become better understood and more frequently used. Leadership and vision will play an enduring role, and leadership that can activate the potential of other people will dominate organizations of the next epoch. In all likelihood, we will have two or three enduring models, ranging from purely emergent to purely directed, that will hopefully bring greater diversity to the types of problems we can solve, and the types of people who can make breakthrough contributions. As new structures slowly emerge, we need to think about 5 things. We need to assign societal values to each and ultimately determine whether we are building Big Brother or a chance at universal self-actualization. A command and control hierarchy is ultimately about discipline and submission to authority. Free will is intentionally constrained. Do what you are supposed to do, and do it well (or else). The Borg epitomizes this same end, but through a networked and decentralized model rather than a hierarchical one. I’m thinking its not the direction most of us actually want to enable. 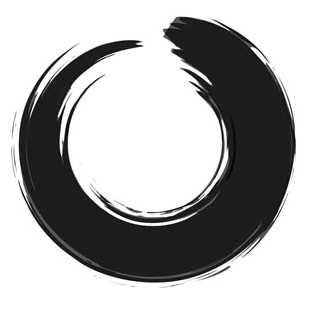 Zen translates to “direct understanding”. People have spent thousands of lifetimes understanding what that means, but at a novice level, it means un-intermediated learning. That there is a direct relationship between all things, and that you do not need the wisdom of others to guide you to see it. There is no official holy book of Zen. But there have always been those farther along the path, and they have often served as guides for others. This may be a new model of leadership. The wise guide still pursuing their path, willing to help others. The new networked organizational collective, or “Connective”, in its ideal form, will give each person “direct understanding” of the ecosystem. In fact, as we discuss complexity, and emergence, it may be that “direct understanding” is really what all this design thinking and system thinking is really striving for. But free will is limited. Often by our understanding of our own culture and paradigms. This recent, brilliant rant by James Altucher is hard to ignore. It describes the illusion of free will created by a society whose patterns leaves only an impression of choice. He’s not the only one to share this view. Some sound bitter and angry and, frankly, nuts. But others are increasingly difficult to ignore. Our society – for all its greatness – has ingrained patterns of behavior and decisionmaking and for better or for worse, its not easy to see beyond its assumptions. But things are happening and what worked before may not work forever, and we have some collective thinking to do. Technology that democratizes expression, learning and even production can give more people more free will and opportunity to self-actualize than ever before. This appears to be our human aspiration and destiny. But this combined technological determinism and “solutionism” will take us places we haven’t imagined yet. Caveat emptor. We should not go blithely forward without at least attempting to understand what we want society to become. Somewhere between 1984 and The Matrix are some truths we need to explore. Decision making is increasingly complex as sense-making is increasingly complex. We have the opportunity to understand so much more now than we ever did, but our ability has yet to catch up. The challenges of big data (did any of you miss this classic chart of murder rate vs. internet explorer market share? Big Data gone goofy.) and collective organizations – where expertise, authority and awareness can be widely distributed – are holding us back. To some extent, this is addressed by our increasing ability to re-act rather than anticipate. This is learning, doing, failing fast – but still and all, action requires decisions. Some organizations will always need more explicit decision making than others (think governments and armies for instance) at least for some decisions. Gordon Ross wrote a great piece on the nature of power in Networks. He warns that we will eventually need to move past our warm and fuzzy view of organizations and power as purely shared, and realize that while power is not strictly zero-sum, power and equality and egalitarianism are not easily and purely balanced. Some will be more powerful than others. THat means that we need to better understand the nature of power, and be thoughtful and more deliberate in how and when we allot, distribute give up and attain it. Since humanity first picked up tools, we have been enhancing our biological capabilities with man-made constructs – eyeglasses for example (which I now need). Google glass is just another step in a long path here. My favorite, too-often quoted Gibson description of the internet – “our continually improving, communal, prosthetic memory” describes the internet, but also suggests that it will be a lot more intimate than it is now. We are augmenting ourselves in biological, sensorial and cognitive ways- and its a great thing. I have a couple extra parts in my knee that were not original equipment. My first job out of college was writing code to test an artificial ear (which is now in use, I’m proud to say). We will soon have visual analogs of cochlear implants that let the blind see. Google Glass, even the iphone and this latest “personal environment monitor” are giving us constructed ESP and other capabilities. And I don’t think any of us will resist it. Why would we? We absolutely want our doctors to have Watson, as I want new eyeglasses to read with. Two or three generations from now people will wonder how we made do without these things in the way we wonder how people managed without central heating and telephones. Our grandchildren will consider us medieval. They will create PBS reality shows of people trying to survive with bare eyes and no broadband in their human operated cars. Here’s my question. Need we begin to consider what life and fairness means in a post-private society? Will our connectedness and our rapidly increasing dependence on digital technology for all of lifes transactions inevitably lead to a society with no reasonable expectation of privacy? At last fall’s TEDxMidatlantic, Alessandro Aquisti gave a tidy demonstration of the fact that our privacy is an illusion and that our identities and personal information are available to those who want them. Will this return us to small town values where everyone knows everyone else’s business? Would that be a good thing? Will this be humanizing or dehumanizing? What of our “rights”? What of our security or independence? What will that mean at work? Will our actions be perpetually scrutinized? We of the “knowledge worker” class may feel we are free from the nightmares of keystroke analysis and time scrutiny of “management”, but will our next decade increase everyone’s work-freedom or diminish our own? Will we spread enlightenment or contract it? These questions may not seem like core “Enterprise 2.0” questions, but I assure you they are. We are building new business constructs and free will, privacy, decisionmaking and even a reexamined notion of what it means to be human will be profoundly affected and will profoundly affect those new businesses. We cannot know that Visa knows if we will divorce, possibly years before we do, and not decide whether or not that is ok. Will having fully quantified selves, customers and teams means that we rush past the humanity we were trying to unleash? We must face what we’ve put in our pockets. We cannot predict the future, but we can choose its flavor by making fundamental declarations, and basing the rest of our decisions on those simple, powerful truths. Do we believe that competent, well qualified people will do the right thing given the opportunity? Do we believe that we can help people see and pursue opportunity and capability where they haven’t in the past? Do we need to reframe the right to privacy debate? Do we believe that societies and organizations thrive based on cooperation or social darwinism? How do we skew toward one and not the other? Do we believe that control is the same thing as power? Do we believe that work people believe in is of value to both shareholders and society? Do we believe in ourselves? We hold these truths to be self evident. In the United States we have found that it is the embrace and examination of the values set forth by our founding fathers that have endured our few short centuries. Will we and in what way will we need to reimagine the values – business and otherwise – of the next few centuries. Perhaps the most welcome business innovations in century 21 is the realization that the 1990’s CEO pablum, “People are our greatest asset” is actually true, and that this means that business must rebalance its structures and processes to support and enable people rather than to control and contain them in boxes, while they service the processes and infrastructure. A flipped business if you will. A humanized rather than mechanized ideal of the perfectly efficient organization. It has finally been proved – what everyone already knew is true – employees who give a darn [sic] do better work, which makes their lucky employers more successful. So we are thrilled that work will finally evolve away from what has often been a negative experience, and start becoming place where people thrive – along with the economy and society at large. It all sounds great. But it is an earth-shifting change that leaves many management teams uncertain and uncomfortable and many employees frustrated. A human-centric business questions some of the fundamental tenets of traditional enterprise design and operation, and it will take some time to sort it out. Being human is complex and being a business is complicated and so growing together is sure to be a precarious but altogether magnificent undertaking. As yet however, many of us are still in a hard place. There are three ways that work becomes a soul-crushing, disengaging job that leads to “its fine like that”, what-kind-of-shortcuts-can-i-take, and the-least-I-can-get-away-with effort. 1. Work that asks people to do stupid stuff. This can be menial work, in which the person doing the work has no stake or impact on the outcome. Think fast food, factory work, mail delivery, or other work that is heavily routinized and automated. A craft is different, because it involves mastery – these jobs do not. This also happens when the policies or processes of work are flawed in ways that are obvious to employees, but aren’t likely to change as a result. Hire people to do something, and never invite or enable them to develop their skills or to do more than they were hired for, and what you will get is glassy eyed mushrooms. These people disengage because they don’t know anything better. There can be many causes of stagnation, but simply accepting it is a losing strategy. Dan Pink showed us that intrinsic motivation is vastly superior to external motivation (do this, get that) to drive effort and outcomes for all but the most mechanical of tasks. Pink’s model shows that people are engaged (intrinsically motivated) when their work has three elements – Mastery – the ability to demonstrate and constantly improve one’s craft, Autonomy – the ability to solve problems and make decisions on their own, and Purpose – the idea that their work matters as part of a greater whole. (Click here If you haven’t seen his classic TED talk.). Pink focuses on the individual, however, and what we need to understand here is how to make that work for organizations. There are those that claim the drivers of employee engagement are “Relationship with immediate supervisor, Belief in senior leadership, Pride in working for the company.” But normal people will recognize those as markers (KPIs), rather than drivers of engagement. If I don’t believe that my company is valuable, then my work is not valuable, and therefore I don’t value it, so I don’t invest in it, I am not engaged. Duh. Purpose, however, is not limited to green and eleemosynary causes (thanks for tolerating my nerdy words. it means charitable). A corporate purpose is an understanding of the change you want to make in the world – whether it is to make people happier, richer, more entertained, more constructive in their work, etc. Purpose must be deeply authentic, and not just a carefully crafted-by-committee Mission Statement. I talked more about why it matters here. In order to scale beyond small business size, purpose must be accompanied by narrative – that expresses that purpose to your customers, your market and your employees. This gives everyone the ability to connect with tell and build his or her own part of the story. You may find yourself with a purpose, and you may mean it, and you may find yourself with a marketing plan that expresses it and a roadmap that builds it (congrats to you) (if you’re saying to yourself, this is not my beautiful purpose, this is not my beautiful roadmap, then read on). But to make it work, to make it great, you need a team of people who have full, mutual awareness of what they are doing and what the leadership is worried about. If people can’t see the drivers of their work (why) , and the impact of their work (how’d I do? ), they can’t be engaged. If R&D doesn’t know what marketing is pushing and marketing doesn’t know about the latest innovation, and the plan to re-architect the customer support program, and the team in Europe’s new experiment and the recent customer loss or win and the 6 major decisions that the executive team is working through, then they are probably not very engaged. When people don’t know what is going on, they can not consciously affect its outcome. They are not engaged. Transparency is not just about soaking in each others intellectual and emotional effluence (though that has its advantages too), its about knowing what’s going on around you so that you can constantly align, connect, consider and matter. The flip side of transparency is “impact”. With the right kind of transparency, i can see what is going on, and understand the impact that my best work makes. I can see who and how I help. That matters. When we work together as a team, we help unpack each other’s intellectual boxes, we refine one another’s ideas and discover new ones. We improve each other. We build a continually improving, communal memory, experience, and insight (to riff on a William Gibson quote). Members of such a team take ownership of their responsibilities seriously, but invite and relish in the fact that they can rely on their colleagues to help them work through sticking points and make their best work better. A collaborative environment helps sustain energy, focus, and purpose. But to get here, you must be aligned, you must have a mutual respect that leads to mutual compassion and curiosity that makes it fun to air challenges, problems and failure and a joy to bash and hash it out together. If you do not have a “culture” of mutual dependence at work, technology will not change that fact. Generally this is about aligning around common goals, and offering one another respect as a conduit to trust, which enables you to do what teams do best – amplify strengths, and minimize weaknesses. If you’ve ever been a part of that team, you know. Some social media-ites believe that in the future, organizations will be purely emergent and collaborative, with no leadership required. I am not of that school – though certainly the nature of leadership will change. Leadership matters, and there are two things that great leaders do 1) communicate without ceasing (leading to that transparency and inclusion thing) and 2) Listen without ceasing by asking lots of questions. Dear leader, if you aren’t both sharing your vision and listening to your workforce, then there is at least an organization’s worth of people who think you are a fool. This perpetual telling and listening looks like a subtle and dynamic balance between confidence and humility. There is a third thing, and that is that you must be authentic. The human nose can detect the scent of patronizing palaver in micro-parts per million. It is important to note that real leadership is recursive. Great leaders are constantly building the value and capability of communicating, owning, questioning and listening in all of their team members. Constantly. Gamification is a topic that has become tightly wrapped around the engagement axel. Gamification has two faces. The first is manipulative, the second is about forming positive habits. Most customers I talk to actually want the first, though I don’t think they quite realize it. This is disturbing faux-engagement, and is, I think, primarily a side effect of metrics abuse. Getting people to juice their numbers via manipulative performance metrics is not engagement. Just like company picnics aren’t a bad thing, but also don’t in and of themselves improve morale – same with badges and leaderboards. They don’t necessarily hurt (though they can), but they never address root cause. The forming good habits thing is different – it uses gamification theory to say – hey – I know how people work, i know how habits are formed so I’m going to use that insight to help transition people to new habits. The new habits may be ones we think will build a more transparent, richly communicating, mission-aligned collaborative environment – like adopting collaboration software. Or maybe they are about digging through training material. They can support engagement, but they can’t create it where there isn’t any. Gamification is not engagement, its habituation, and generally will promote small, mechanical types of interactions (check ins, etc) but is in no way a substitute for more substantive types of engagement. If you want to game the cash register, that might work. If you want to game your R&D, marketing, business development, or any other kind of “knowledge” work, you may want to rephrase the answer in the form of a question. There is third, deeper meaning of gamification that transforms complex problems into multi “player” solution spaces . This is darned interesting, but is not what your average CIO is asking for, and can’t be acquired as a checkbox feature of social intranet software. Though hard evidence was a long time coming, the basic argument goes like this. When employees give a hoot, they do better work, which leads to better outcomes across all measures. This chart from the 2012 Towers-Watson report is but one of several eye-popping bits of evidence to emerge last year. It shows that businesses with high levels of engagement have 3x the operating margin of those with low engagement. THREE TIMES THE OPERATING MARGIN. Three. What do you think happens to companies with a third of the operating margin of their competitors? Bruce Temkin has also developed some relevant research. He backed into the topic as part of his methodical work on Customer Experience, because he could not help but notice the profound effect engagement has on customer satisfaction. He has a good model that is driver, not marker focused, and connects some of the dots between Engagement, Revenue and Customer Experience. In fact, the benefits that accrue to the organization are so great that CV Harquail wonders if it isn’t the greatest management scam of the decade. Engagement is the outcome of earning the respect of your employees, and encouraging and enabling them to do work that matters together. Increasingly, your employees are your business. Not your natural resources, your massive infrastructure, your intellectual property, your distribution channels or your processes. Its your employees. Respect them, include them, don’t patronize them. Earn their engagement and win. If we succeed at humanizing the workplace, we will reinvent work as a place for personal fulfillment, a radical new engine for the economy, and a more sustainable society. For at least this generation and perhaps 5 or 100 more, our combined (but not homogenized) human capabilities and aspirations will be the most powerful force on earth. The best is yet to come. Or, fulfilling a promise to @krcraft, #GSD!